Locals who attended the July 8 City Council meeting had plenty of time to peruse this seal, prominent on the wall of the Council Chambers, as discussion of the proposed Land Use Amendment to the General Plan waged nearly unto midnight. 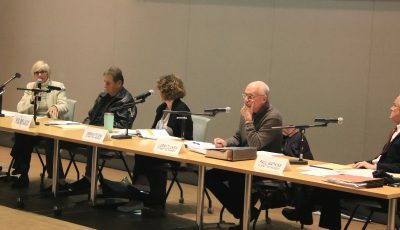 You’ll be hearing more about this issue because on July 22 the City Council voted to place on the November ballot the amended Amendment (apologies for the redundancy). After all, the issue affects you, me, indeed everyone who lives in this city. Today’s column covers one of my concerns after studying the Amendment, attending the July 8 and July 22 council meetings, and interviews with opponents and proponents. 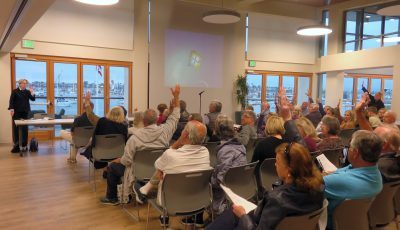 It’s about the traffic through Corona del Mar, which offers a microcosm of the dysfunctions of the administration of the City’s General Land Use Plan. 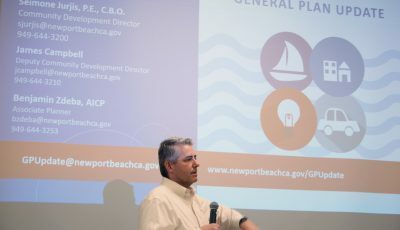 Selich’s Bypass Plan includes electronic signage for westbound drivers on Pacific Coast Highway as they approach Newport Coast Drive, alerting them to that alternative route to Newport Center (via San Joaquin Hills Road) as well as to the 73 and 405 Freeways. That’s an eminently simple and sensible idea, but it raises the question: Why not a sign years ago? In an email, Councilman Selich recalled the presence of a sign after Newport Coast Road opened in 1991. I recall it too, and am awaiting Caltrans’ confirmation that there was indeed a sign and, if so, when and why was it removed? 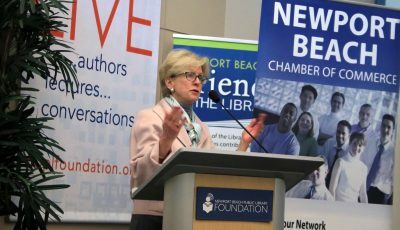 To now tie the signage to an Amendment that allows for, among other traffic-generating projects, 500,000 square feet of office, 50,000 square feet of retail, and 500 more residential units in Newport Center alone, is the sort of policy-making that causes residents to grow cynical about city government. It shouldn’t require a complex Amendment on the November ballot to post such a sign. Jean Ardell is the President of the Newport Beach Women’s Democratic Club.